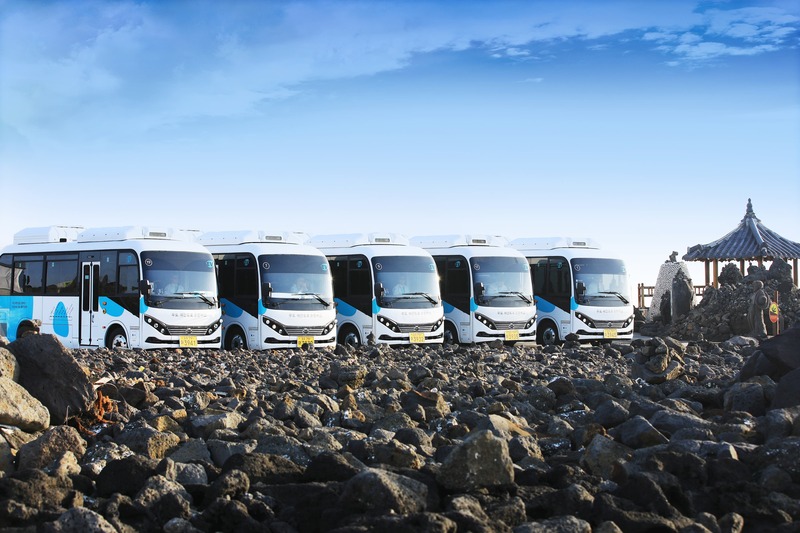 BYD has announced yet another rollout of 20 of its fully electric shuttle buses in South Korea’s Jeju Island. 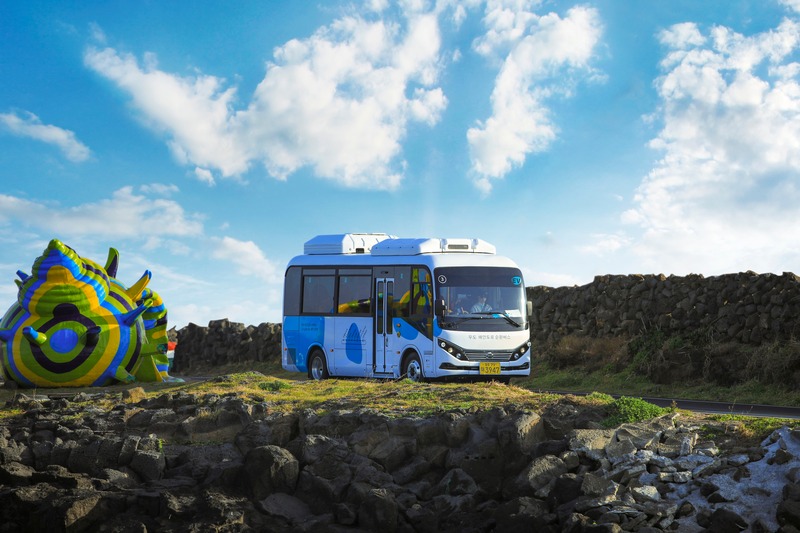 The project was comprised of 20 of BYD’s 15 passenger eBus-7 vehicles that, a perfect fit for the island’s narrow roads while still packing plenty of range (200 kilometers of range per charge). BYD president and founder Wang Chuanfu was included in a select group of industry leaders who spoke with South Korean President Moon Jae-in while he was in China in December, and it seems he made an impression. A delegation from Korea’s Udo Island visited BYD to inspect the eBus-7 at BYD’s Shenzhen headquarters and were clearly impressed, as the order for 20 of the small buses was finalized shortly thereafter. I spoke with BYD’s president and founder Wang Chuanfu in January. In that interview, he reiterated that the evolution of BYD from its roots as a battery company into a global powerhouse for new energy solutions was the vision from early on. Today, that dream is being manifested in energy storage, solar energy, and electric vehicles (in many forms). The dream that inspired BYD to move beyond batteries into automotive and later solar products lives on today as BYD’s “Zero Emissions Energy Ecosystem,” which overarches BYD’s solar power generation products, reliable energy storage, and electrified transportation solutions. BYD continues to be a force to be reckoned in the global shift to electrified public transit, pushing beyond its dominance at home in China into nearly every habitable continent in the world. Its vehicles are now in over 200 cities.